Senior Citizens are the fastest growing segment of our population, and that growth can also mean an increased likelihood of crime. 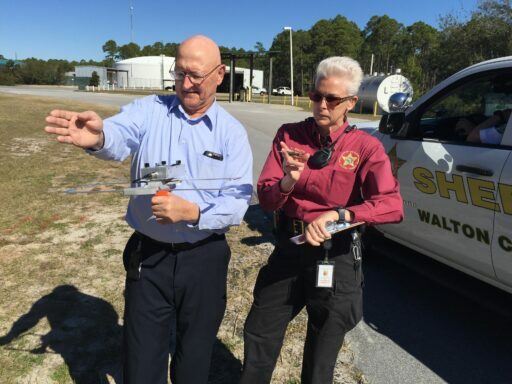 The Walton County Sheriff’s Office is committed to educating and assisting Walton County’s senior population to reduce the possibility of crime and improve their quality of life. Because of this, the Walton County Sheriff’s Office is now participating in the Project LifeSaver program. Project LifeSaver was developed in 1999 by the 43rd Virginia Search and Rescue in Chesapeake, Virginia. This technology allows law enforcement and search and rescue teams to use radio frequencies to locate a lost patient. A transmitter – about the size of a watch – is placed on the patient’s wrist or ankle. Should the patient wander away, the caregiver notifies 911, and a search is begun immediately. The personalized wristband emits a tracking signal, which is traced on the ground or in the air over several miles (approximately 1 mile from the air and 5-6 miles on the ground). When caregivers notify the Sheriff’s Office that the person is missing, a search team responds to the wanderer’s area and starts searching with the mobile locator tracking system. Searches that have normally lasted days can now be reduced to less than an hour. Patients are quickly and safely returned to their home, thanks to Project LifeSaver. This program helps Sheriff’s deputies find wandering patients within minutes; instead of the dangerous hours and days it often takes to locate missing persons who lack the technology. 50% of elderly patients who go missing cannot survive a single night outdoors. This radio tracking technology virtually eliminates the possibility that a patient cannot be found almost immediately. Project Lifesaver has a 100% save rate. Project Lifesaver saves lives, but it also helps put family members and friends of senior citizens at ease, knowing that if they happen to wander off, they will be found in a timely manner. The Walton County Sheriff’s office has partnered with the Covenant Alzheimers Service, located at 5041 N. 12th Avenue, Pensacola, Florida. For information on client enrollment or to make a donation, contact Sergeant Chris Infinger at [email protected].